Abuja, Nigeria: News reaching New Nigerian Politics states that the Independent National Electoral Commission (INEC) has rejected the withdrawal of the presidential candidate of Allied Congress Party of Nigeria (ACPN), Dr. Oby Ezekwesili. Citing the Electoral Act, INEC stated that a candidate can only withdraw from the race 45 days or more from the date of the election. 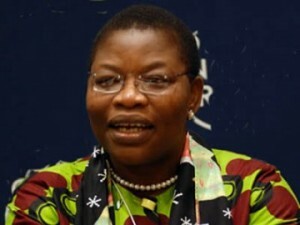 Dr. Ezekwesili’s withdrawal did not meet this threshold since it was less than 45 days. It is unclear why social activist and one time education minister has chosen to withdraw her candidacy.